Solaris Blueraven on ITEL Radio – 11.1.14 | Inside the Eye - Live! 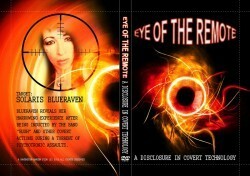 Solaris Blueraven, proprietor of the website Night Shadow Anomaly Detectives joined Inside the Eye – Live! on Saturday, November 1, 2014. 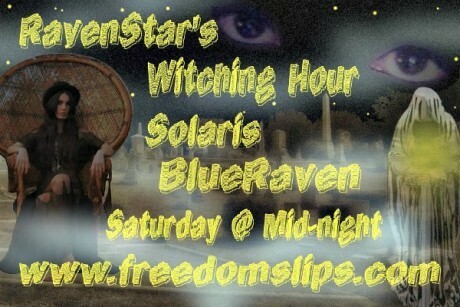 Solaris is also the host of “Ravenstar’s Witching Hour” which airs on Sunday at 12am Eastern (USA GMT-5) and “Hyperspace” on Dark Matter Radio. The first half hour was spent largely speaking about the leading edges of psychotronic warfare. In general, psychotronic warfare deals with the assault on individuals and groups through the use of electronic means. To date, popular periodicals often seek to place psychotronic warfare into the realm “conspiracy theory”. However, such efforts to trivialize psychotronic warfare are simply “misguided” at best and willfully misdirecting at worst. As Blueraven explains it, based on her personal experience, technology exists that can scan a person’s “electronic signature” for the purpose of over-riding a person’s natural tendencies and essentially control the targeted individual. The uses of such technology are as varied as the whims of those controlling the individual through the use of the technology, whether it is to create a Manchurian candidate, or program the targeted individual to engage in self destructive technologies. 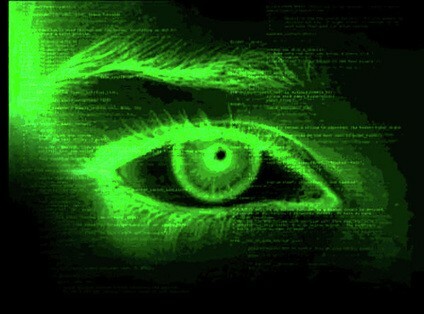 One of the ultimate expressions of this technology is to program “spies”, essentially using technology to tap into a brains neural activities such that an external source can see and hear what the tagged/targeted individual is seeing. Solaris spoke about how the technology has become so advanced that the tagging process can be done on a space/satellite level. Solaris is also available to discuss and investigate for and on behalf of individuals who believe they are being targeted by electronic covert technologies.